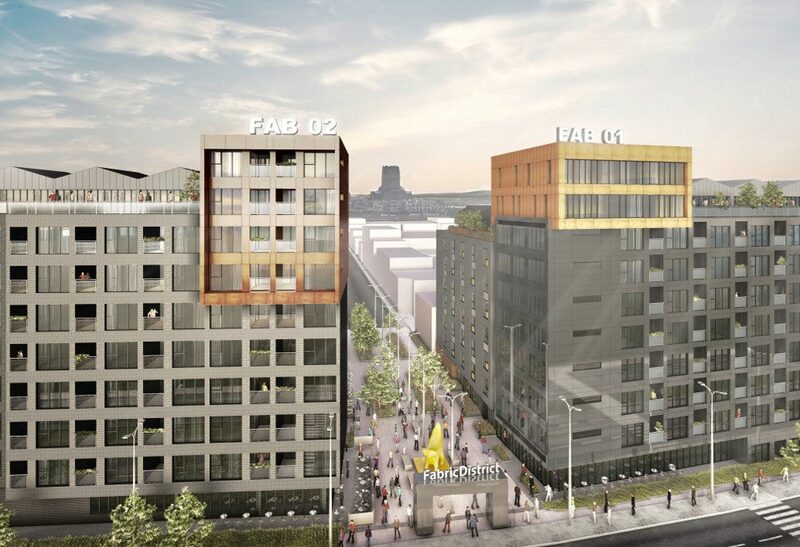 Proposals to build almost 700 apartments across two Liverpool sites have been given the go-ahead, although a separate 109-home scheme has been refused despite previously being recommended for approval by planning officers. Liverpool City Council’s planning committee has approved a full planning application by YPG Developments to demolish existing low-rise buildings and create a trio of accommodation blocks on a site that is dissected by Gildart Street, and bounded by Islington to the north, Devon Street to the south and west, and a side road off Devon Street to the east. The plot is approximately a ten-minute walk north-east from Liverpool Lime Street station. The YPG Architectural-designed scheme features three blocks between seven and ten storeys high with 488 homes in total, along with ground-floor retail space. The site already benefits from full planning permission for a 268-home scheme comprising three blocks of between six and nine storeys in height, which a planning statement by Knight Frank said demonstrates that the principle of redeveloping the site for student accommodation has already been established as acceptable. This proposal was approved in July 2014 and the consent does not expire until July 2019. Councillors also waved through a full planning application by Town Square Developments on behalf of TJ Hughes to demolish the discount retailer’s store at 101-113 London Road to make way for a 182-apartment scheme rising up to eight storeys high. Under the KDP Architects-designed scheme, there would be new commercial units on the ground floor including a TJ Hughes Express store, student accommodation from the first to fourth floors, and private residential accommodation on the upper floors. However, FBM UK’s full planning application to develop open space on Upper Parliament Street between Mulgrave Street and Kingsley Community School has been refused. The WD Architects-designed scheme envisaged creating 109 apartments across a new building rising up to six storeys high. All three schemes had been recommended for approval by planning officers. Originally posted on Insider Media.